Nate Marquardt: Watching "How to Train Your Dragon"
Earlier today, I worked out with Loren. Now we are taking the kids to see the movie. 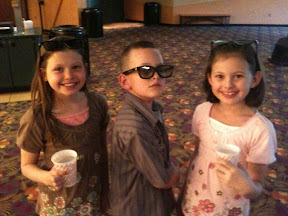 This is Emmalie, Peyton and Mario. Apparently, Mario is "striking a pose!"